TCB Homes feature the most cost effective, energy saving technology. This not only saves you money now but helps assure that your home will have a high resale value for years to come. We have an unsurpassed reputation for honoring the warranty on our homes. You can rest easy knowing that we stand behind our work. If you have a concern-we resolve it-fast. Someone wise once said, “There’s no substitute for experience.” How true that is. TCB Builders has been building custom home and lasting relationships for over a decade. TCB strives to offer the best quality workmanship and use top products in all of our projects. 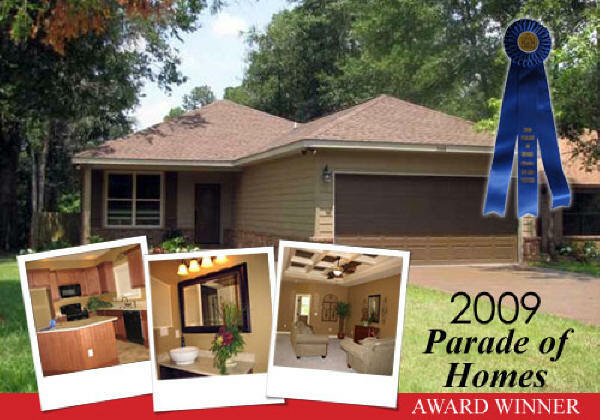 2009 Parade of Homes Winner!